This precious book about a mother’s ingenuity and love as she finds a way for her daughter to have a coat in a small European town during the hard times after World War II. 7Sisters Literature Activity Guide for A New Coat for Anna is a terrific family read-aloud that guides younger elementary students through developmentally-appropriate phonics and comprehension skills. Elementary Literature Activity Guide for A New Coat for Anna is designed to teach and/or reinforce necessary skills for students who are in the process of learning to read. Each 7Sisters activity guide helps young readers practice individual skills while maintaining an appreciation of the literature. Good readers love reading! Synopsis: A little girl needs a new winter coat, but living in Europe following the devastation of World War II makes the task so hard! 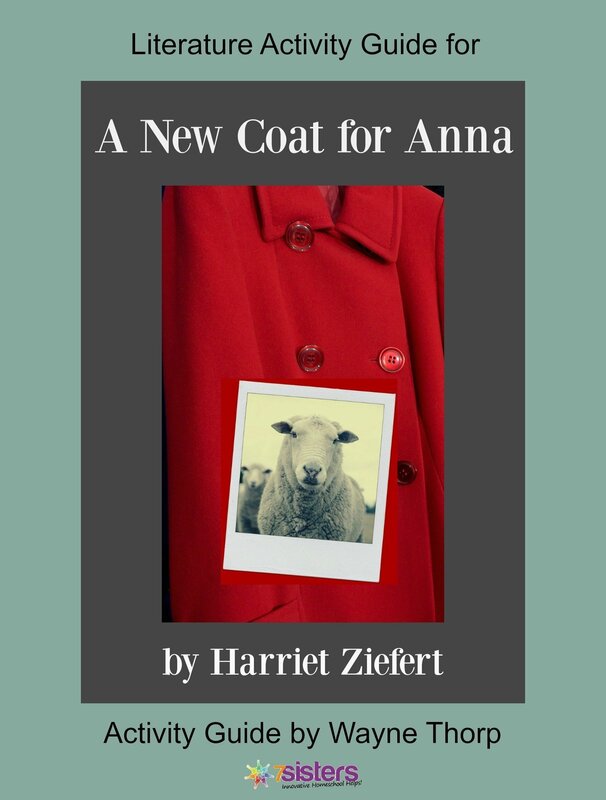 Read how resourceful Anna’s mother is as Anna gets her new coat. Comprehension skills: Sequencing, and Steps in a Process. Bonus Skill included! Story Elements: Children identify elements common to all fictional stories. Phonics / Grammar: Students practice a skill with a sorting activity using words from the story itself (plus a few others thrown in, for good measure). Vocabulary: Young readers learn new words using the “Roll’em & Read’em” activity sheet. Comprehension: Children develop their skills using an activity sheet based on the book. Research: Students are encouraged to further study topics related to the story. The Elementary Activity Guides are by Wayne Thorp, a veteran elementary school teacher with over thirty years experience teaching grades one through three. He is the father of three K-12 home schooled children (now grown). To visit Amazon and purchase a copy of this book JUST CLICK HERE , or borrow the book from your local library.